Soooz Says Stuff: March Madness For March 23rd Welcomes Author Jeff Lee! 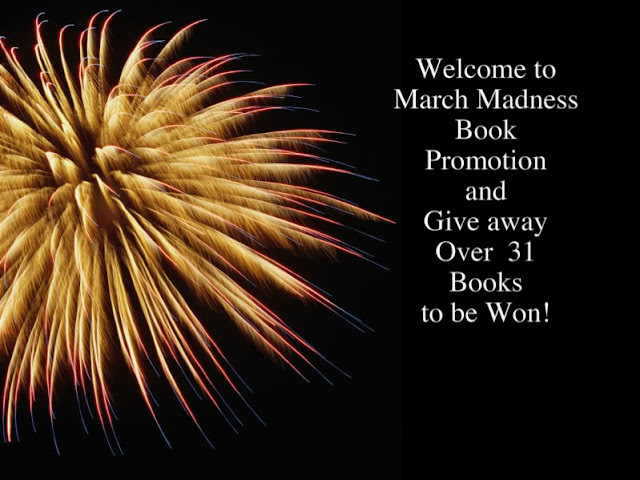 March Madness For March 23rd Welcomes Author Jeff Lee! For more than thirty years he has been a copywriter and creative director for some of the advertising industry’s most recognizable agencies, winning numerous awards for his creativity. None of those ad agencies are still in business, but Jeff appears to have an alibi. It should have been an easy, Hollywood kind of case for Fish--just find some wanna-be starlet's lost Lhasa Apso. But before anyone can say, “three-picture deal,” her cut-rate jeweler boyfriend is murdered and now the killer wants to shoot Fish—and not in Technicolor. Moe "Fish" Fishbein is a wisecracking bounty hunter, attorney and repo man with a ton of tattoos, a Buddha-licious grin and an old school Harley chopper. He's the "go-to" guy for show business A-listers with runaway spouses and missing Bentleys, and agents whose celebrity clients have jumped bail. A desperate jeweler hires him to locate his trophy girlfriend's missing lap dog, but forgets to mention the fortune in stolen diamonds he super-glued into the dog's collar for safe keeping. The next thing Fish knows, his client gets whacked and now he's in the sights of a psychotic hit man who wears black Armani and talks like Marilyn Monroe. The gunman works for a corrupt attorney who wants the stones for himself. And before Fish can do the right thing and track down his client’s murderer, the hit man pops the girlfriend. Then he kidnaps Fish’s associate and offers to swap him for the collar. The novel is set in Hollywood and centers around stolen diamonds set in a dog's collar (in order to hide them). However, they aren't quite as hidden as the original thief believes and soon there is a mad scramble for the diamonds. In the midst of it all this is bounty hunter and repossession specialist, Fish. And every time he turns around he's either being hired, fired, or mourning yet another client in the circle of people trying to get their hands on the diamonds. As the circle around the diamonds cinches tighter, Fish and his partners have to find a way to not only get the gems in the right hands, but to save their skin. In some cases, quite literally…A good book for anyone wanting a goofy, quirky, actionish sort-of mystery. Don't forget to leave an email address where your book can be sent should you be the lucky winner . Labels: 31 books on 31 days, author Jeff Lee, Christmas Contest, promotion. A very funny book from a most excellent writer! Soooz - THANK YOU! You are way too cool. And Sessha, thanks for the nice words. Awww, thanks, International Woman of Mystery. MUU-WAH! I very much liked the 'Ladies' Temperance Club.' And even better, I liked the story of Jeff as the army cook, who gave food poisoning to 140 heavily armed men. It's apparent he survived, luckily. 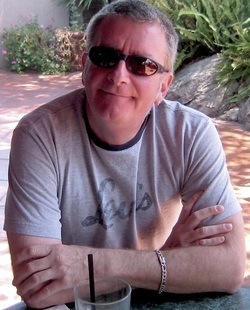 I would love to make Jeff Lee one of my new authors! How do I enter, or am I doing it now? Jeff Lee is a very funny writer – what more can I say? – Except that I love funny writers! Thank you, everybody. You are all way too cool for school. @Donna...you are entered. The prize will be drawn in around 4 hours time. Wow...hey, Donna, you won! Congratulations...now if you can send me your email address we'll get your e/copy of "Hair of The Dog" to you.